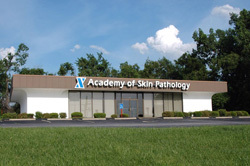 The Academy of Skin Pathology, founded in 2006 and located in suburban Saint Louis, is focused on providing accurate, clear, and prompt pathological diagnosis of skin diseases. We strive to develop close relationships with our referring clinicians and are fully committed to assisting you in providing the best health care for every patient. Our laboratory is certified by CMS under the Clinical Laboratory Improvement Amendments (CLIA) as qualified to perform high complexity clinical testing. 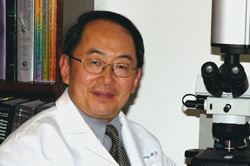 It is also certified by the Laboratory Proficiency Program of the American Society of Dermatopathology.